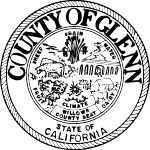 The Glenn County RCD’s Fuels Reduction & Fire Prevention Education Program Coordinator reports to the Executive Officer and is responsible for assisting in the RCD’s business consistent with the Annual and Long Range Plan’s, goals and objectives, and policies and procedures of the RCD. The position requires an ability to work as part of a team but primarily will be working independently to complete duties. This position must have the ability to work flexibly within a set of wide-ranging and often changeable tasks.